After its plating with gold it got the name of golden temple which is situated in Amritsar, a famous city in the Punjab region of India. Its former name is Harmandir sahib also called Darbar sahib and is one of the most prominent worship places of Sikhs in India in fact in the world. During 1574 the fourth Sikh Guru laid the foundation of Amritsar whose successor or fifth guru built the temple in the center of the city. The maker of the temple when completed the holy scripture of Sikhism than he finally installed it in the temple which increased the religious significance of the temple in 1604. Once the temple was destructed when the Afghan forces of Ahmad shah abdali attacked Amritsar under the supervision of Jahan after which it had been rebuilt 1764. In around 19th century when the Punjab was occupied by the ruler Ranjit singh, he platted the upper portion of the temple with gold which became a reason of calling it golden temple. 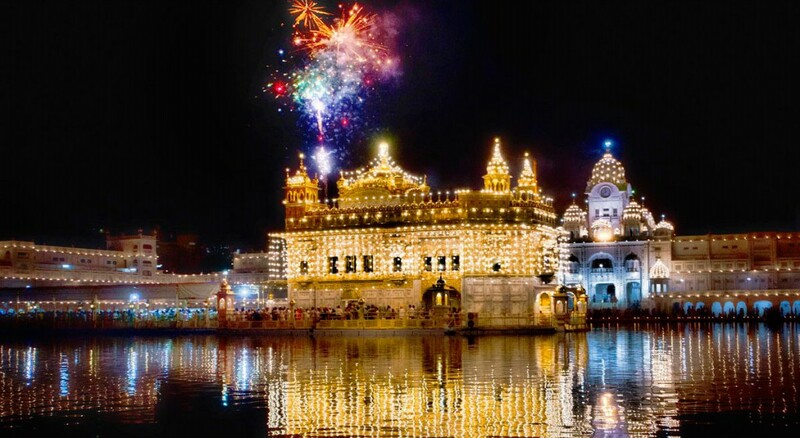 During 1984 the golden temple was a center point of the Indian army’s operation called Blue star which took place upon the order of Indira Gandhi, the then prime minister of India. The Sikhs followers of India called the operation as a sign of brutality against the minority of Sikhism in the country which resulted into the assassination of Indira Gandhi by her Sikh security guards after which the situation went more serious which affected the golden temple badly. The golden temple has four main gates to enter into it and it is standing on a plane land instead of a hill like other worship places. Marble is the main material of the temple. The roof has been decorated with precious stones. It has the tank of holy water called sarovar. The harmandir sahib is open for the people belong to any religion where anyone can go and be connected with God.